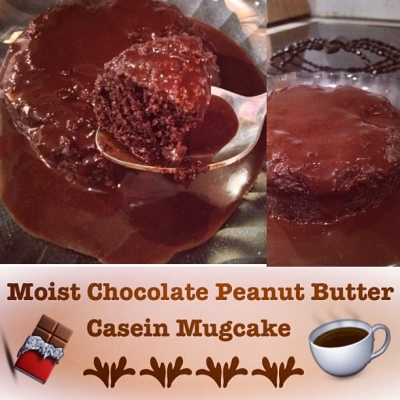 So moist and only 200 calories! 1T chocolate casein, 1T white chocolate wonderful peanut butter, 1T coconut flour, 3T liquid egg whites, 1T plain chobani, 1T unsweetened applesauce, 1T stevia in the raw, 1t special dark cocoa, 1t baking powder. Microwave in a ramekin sprayed with coconut oil for 2mins. I topped mine with walden farms chocolate syrup.